Dr. Giordano has committed herself to excellence in dentistry as both a practitioner and your neighbor. Dr. Giordano grew up in the neighboring town of West Paterson, NJ. She graduated from Passaic Valley High school and was just sixteen years old when she got her first job at the Little Falls, NJ dental office of Dr. Barry Spiesman. Dr. Spiesman proved to be an outstanding mentor and became a lifelong friend. It was in his office that she acquired a passion for the dental arts and went on to pursue a career as a dentist. She graduated from the University of Medicine and Dentistry of NJ and was inducted into OKU, the National Dental Honor Society. This honor is bestowed upon only a select few dental students every year. Dr. Giordano graduating top of her class, was one of them. Throughout her dental school career, she received numerous awards for her academic excellence including the Kramer award, a $10,000 scholarship given to only one dental student a year. Upon graduation, Dr. Giordano completed a one-year hospital residency at Jersey Shore University Medical Center. Here she excelled in all clinical dental procedures including dental implants, one-visit root canals, cosmetic dental crowns and fillings, and smile makeovers. During this unique one-year residency, Dr. Giordano also acquired the knowledge necessary to treat medically compromised patients. She performed numerous dental surgeries and procedures on patients in the operatory room of the hospital, gaining valuable experience in the treatment of medically and dentally complex cases. She became certified to perform conscious sedation, a procedure that allows her highly anxious and dental phobic patients to obtain the dental treatment they really need. After practicing dentistry for a number of years, Dr. Giordano learned of her mentor’s decision to retire and returned to Little Falls as the new owner of the dental practice that inspired her to practice dentistry. Dr. Giordano now dedicates herself to lifelong learning and professional development with continuing education courses throughout the year. She keeps herself updated with the latest advances in modern dentistry. A member of the American Dental Association, the New Jersey Dental Society and the Passaic County Dental Society, Dr. Giordano is certified in the administration and treatment of in-office oral sedation. 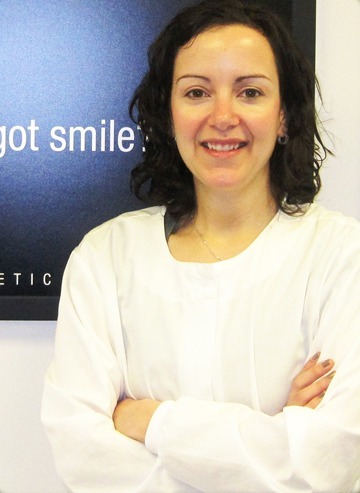 Dr. Giordano strives to provide the highest quality dental care for her patients. She prides herself on being honest, gentle and caring and puts patients’ concerns first. Each patient is treated like family and our staff makes sure our patients are always comfortable. All treatment is customized to our patient’s needs and wants. We are aware that some patients have a fear of the dentist and this is why we offer nitrous oxide and sedation dentistry as options. We also are aware that some of our patients have monetary concerns and for this we offer interest-free and 100% financing options. Our office is open Monday through Saturday. Sign up for our complimentary newsletter now!